Beelink Gemini X45 Mini PC is the best from the brand Beelink, as it is powered by the latest Intel Gemini Lake Celeron J4105 CPU, 128GB SSD and 4* USB3.0 ports. Check price and more. 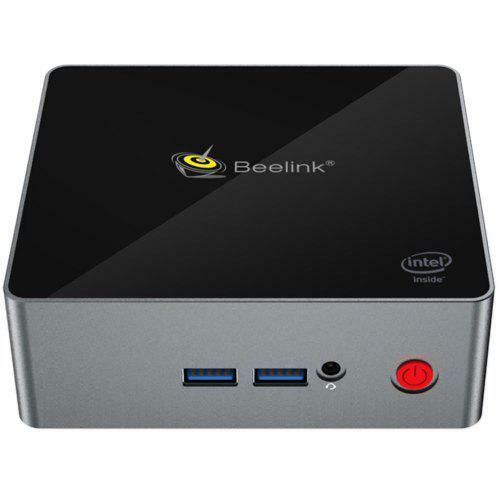 The first impression of Beelink Gemini X45 makes us think of Intel NUC; they have similar shape in some degree. But after careful comparion, the difference is obvious also. Beelink Gemini X45 Mini PC comes with Intel Gemini Lake Celeron J4105 CPU, which is used by ACEPC GK1 as well. But Beelink Gemini X45 has much higher hardware configuration than ACEPC GK1’s 4+64GB; Beelink X45 has two versions: 4GB DDR4 + 64GB emmc and 6GB DDR4 + 128GB mSATA SSD. We can see that SSD is really 10 times faster than emmc, i.e. 6GB DDR4 + 128GB mSATA SSD is the one we love much more as it is just $40 higher in price. In connection ports, Beelink Gemini X45 mainly include 4* USB 3.0 and 2* HDMI ports, no need to mention power and LAN here. Some models of mini PCs have type-C, but many people reflect that it is no use at all, and dual HDMI ports are preferred. As a business class mini PC, Beelink Gemini X45 sopprts Expandable HDD + SSD, which brings much space in capacity.